1. These well-known brand leds insure the long lifespan, high efficacy and help you meet L70 and L90 standards. For products which Use under high temperature emvironment, heat dissipation is critical. We use high conductivity coefficient aluminum PCB while most of competitors in The market use FR4 for LED Troffer LED Light Engine and High Bay LED Light Engine. To help customers reduce wire soldering time, we use snap in connectors for wires to pop in. Some customers don 't even need any soldering people when they use these types of connectors. It is not easy to hire a skilled Soldering worker. 2. Most of our LED Troffer Light Engine uses 5630,3030 and 2835 LED packages from different brands. So far, 2835 is the most economical option while delivering high efficacy, which easily gets to 160lm/W for a fixture after loss of power supply and lens. 5630 is another nice option for customers who needs higher efficacy LED Light Engine. Some packages can easily get to 160lm/w. 3030 can be economical as well. It depends on what brand and what lumen range you would like. 3. The LED Light engine can apply on commercial lighting, home lighting and decoration lighting fixtures. The most common application for commercial lighting fixture is to use on LED Troffer, LED Panel light, LED High Bay, LED flood light, LED Tube, LED Wall pack, etc. For home lighting product, under cabinet lighting uses LED light engine quite a lot. For decoration, color LED and RGB LED Light Engine are used the most. 4. We may not have the size suitable Higy Bay LED Light Engine for your products, customization is welcome. We can evaluate a product based on voltage, lumen output, efficacy, your budget you require and put together a fast solution, We normally design constant current LED Light Engine, so you can adjust your fixture current based on your need within The Maximum current. Of course, for some applications, constant voltage High Bay LED Light Engine is needed. We can help with the design as well. 5. 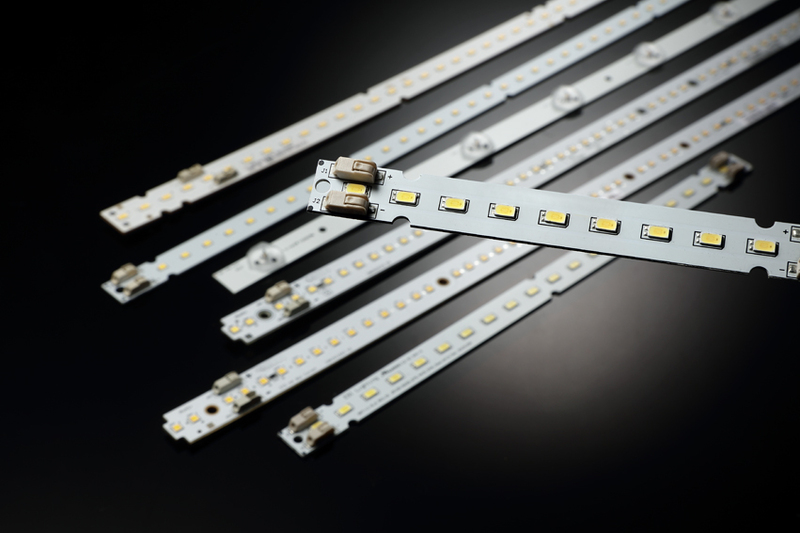 As one of the LED Linear Module China Suppliers, our products are made in China. Nowadays, China has become a high quality product base. Our High Bay LED Light Engines are mainly sold to U.S, UK, Japan, Canada and other coutries. About 60% of LED Troffer Light Engine is exported to U.S.